Totally agree! Change it back. Agree 100%! Feel the draftees & their families were short changed. I totally agree – I could not believe how mediocre the entire event was. 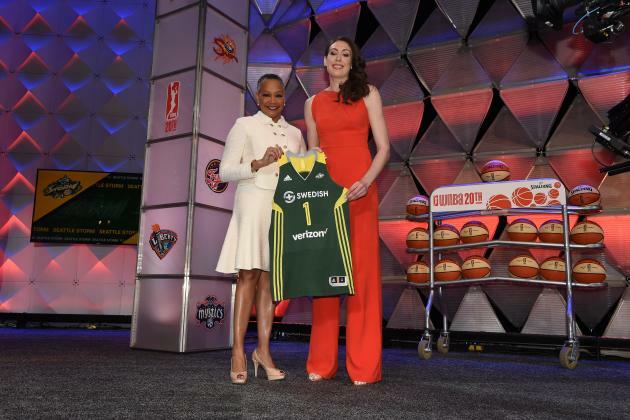 Can’t the WNBA at least find a venue with a stage, a podium, something akin to a “green room”, and seating for spectators who would like to attend? I feel like the draft was not a step forward for these excellent players, but instead was an event that set the entire league back about 20 years. Seriously, it looked like an event for a fledgling league having its first ever draft. Please try again differently next year.